Corporate clients and customers will enjoy using the branded 30' Hal Umbrella when you give it away as your next promotional gift. 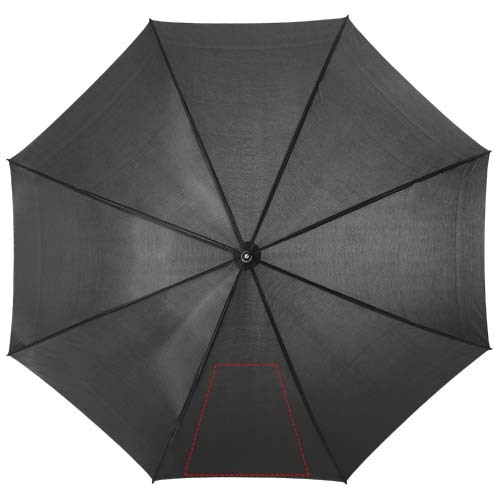 This huge umbrella comes in a range of stylish dark shades, and it has a metal shaft for extra durability. 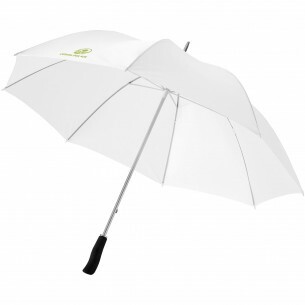 The EVA handle provides good grip, and the umbrella is perfect for commuters. A great way to boost your brand visibility far and wide.